The Institute has been built through a series of donations from a group of philanthropists in India, as well as Milapfest’s large archive of live studio music and dance recordings. A major part of the Institute is the TAG Indian Digital Archive. Donated to Milapfest by TAG Corporation’s Managing Director, Mr R T Chari, this is the first TAG archive to be established outside of South Asia. Mr Chari has also personally donated a large number of books and DVDs on Indian Arts. Audio files from approximately 5000 gramophone records have also been donated by Mr Vikram Sampath, music and history connoisseur, and Executive Director of the Indira Gandhi National Centre for the Arts, Bangalore. Mr R T Chari said: “I congratulate Milapfest and Liverpool Hope University for hosting this archive, which I am sure, will strengthen cultural bonds between the UK and India”. 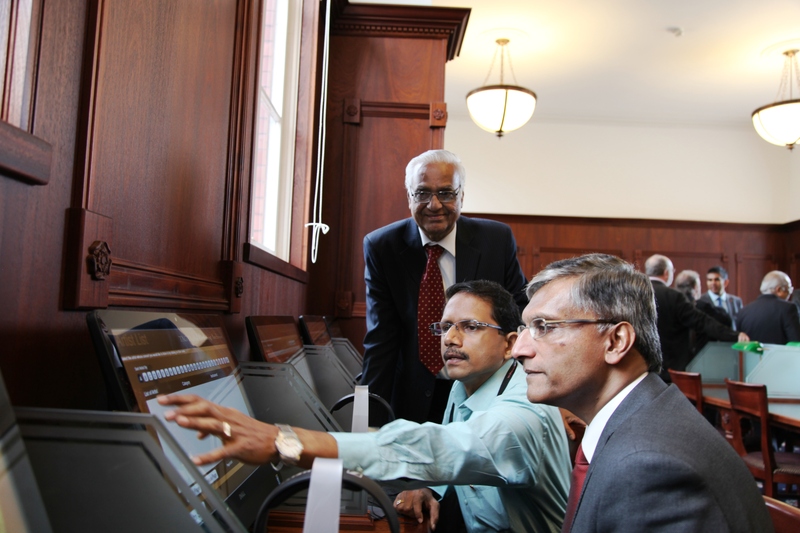 The digital archive is accessible on seven touch screen computers, which are located, along with all physical resources, in the Reading Room of The Cornerstone Building at Hope University’s Creative Campus.